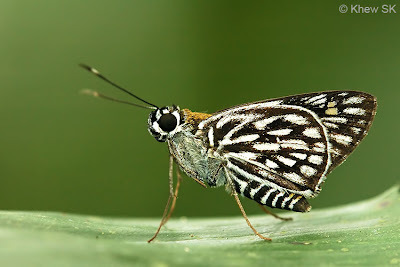 This is the first time that we are featuring a species of the family Hesperiidae as our Butterfly of the Month. 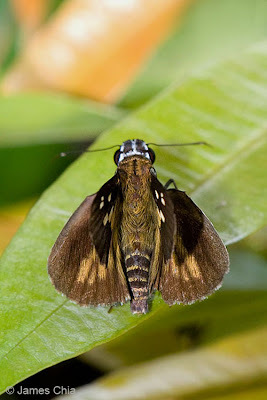 The Hesperiidae, or commonly referred to as Skippers, are fast-flying butterflies. 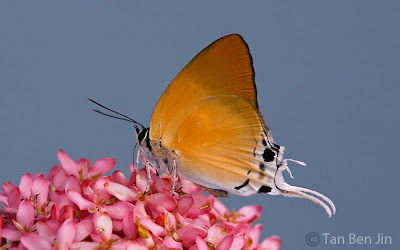 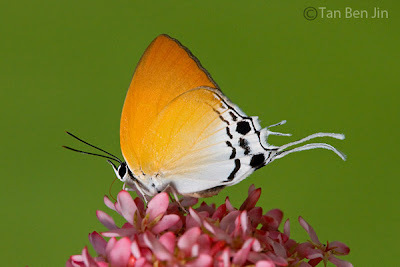 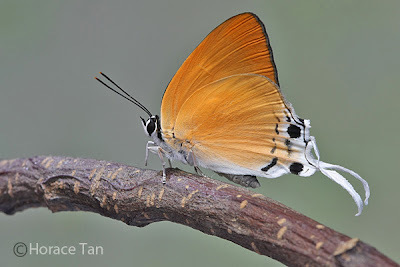 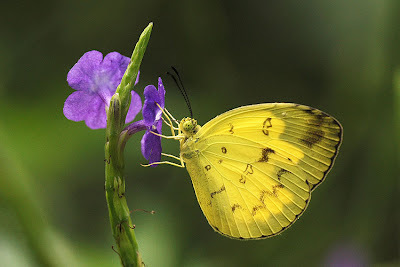 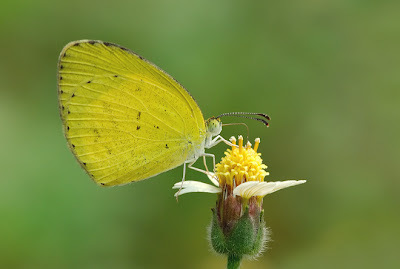 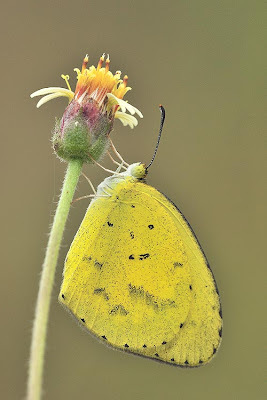 An earlier blog article - The Speedsters of the Butterfly World - the Skippers, introduced this family of butterflies, which occupy a position between true butterflies, and true moths. 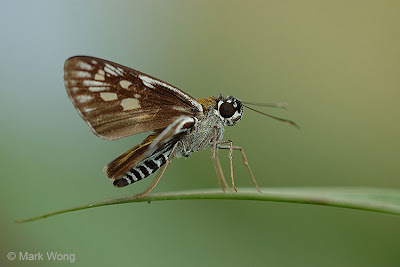 Skippers are generally drab coloured and not considered the most attractive of butterflies. 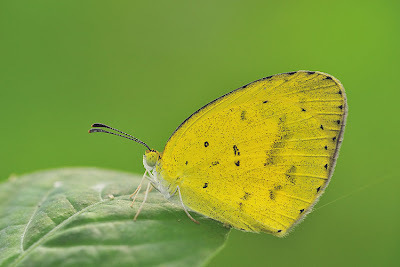 However, they are significant in their number of species and due to their relatively understudied status, more species remain to be discovered. 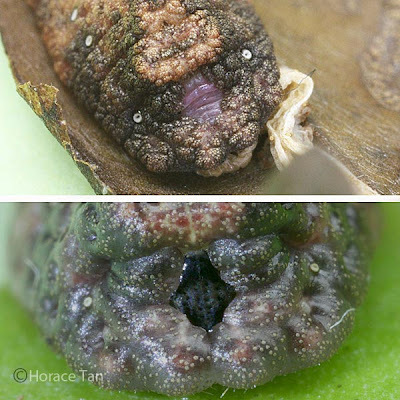 The Chequered Lancer (Plastingia naga) is one of two species representing the genus Plastingia in South-east Asia. 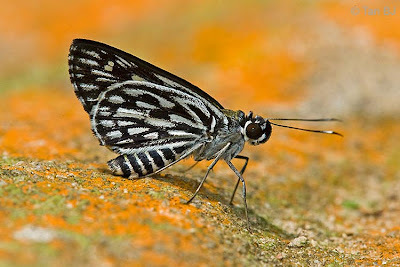 It is a small butterfly, usually not exceeding 35mm wingspan. 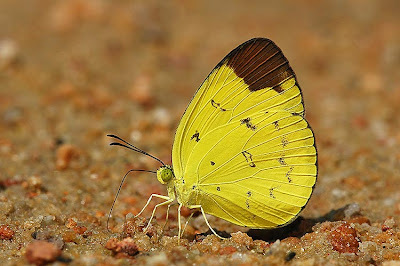 The upperside is dark brown with whitish yellow hyaline spots and yellow-orange streaks at the wing bases. 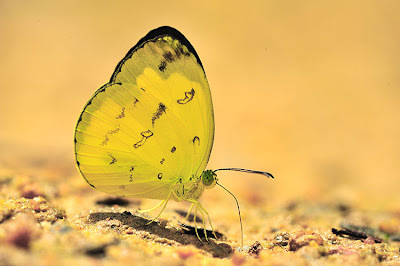 The hindwing bears a pale yellow inter-neural streaks. 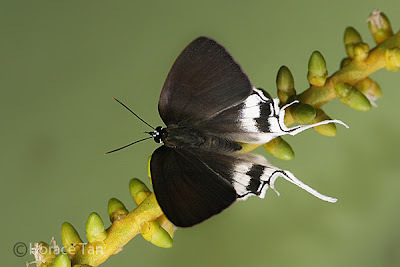 The underside markings are unique in featuring black veins with rectangular spots on a white background, giving the butterfly a chequered appearance. 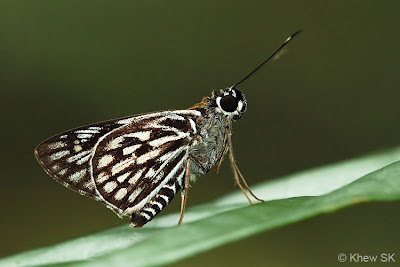 The species is fast-flying, and is on the wing from early morning to noon, and prefers to rest in the shady forest understorey for most part of the rest of the day. 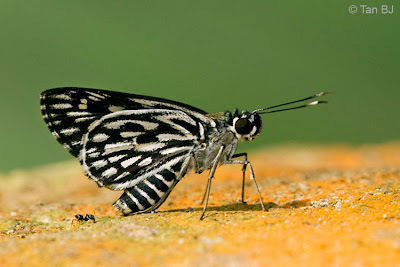 When disturbed, the Chequered Lancer takes off at high speeds, but often comes back to a few favourite perches to rest with its wings folded upright. 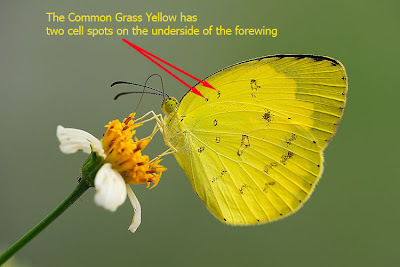 The Chequered Lancer has an interesting scientific name, naga. 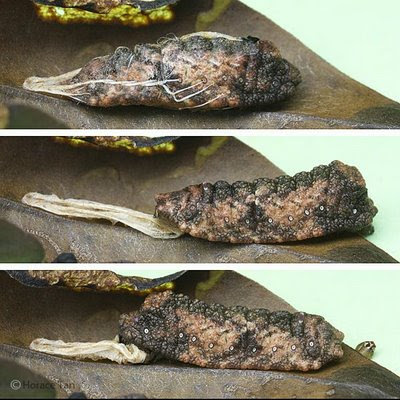 In Southeast Asian folklore, naga refers to a serpentine creature that reportedly inhabits the Mekong River in Cambodia and Thailand. 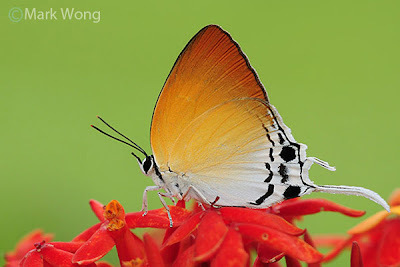 Revered as a Buddhist religious symbol, the Naga has a body like that of an anaconda and the head of a dragon, and legends say that it can spit great red balls of fire into the sky. 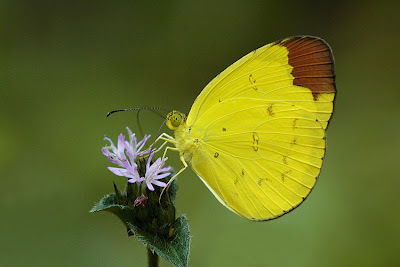 How this species came to be named after a serpent is curious, and would be an interesting subject for trivia research into the names of butterflies. 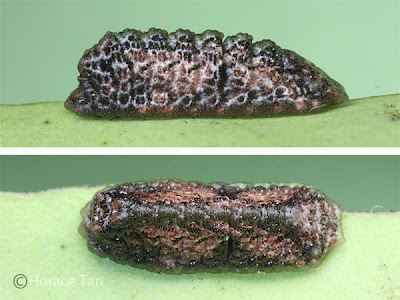 Perhaps the black-and-white chequer-board appearance is reminescent of the scales of the dragon's body? 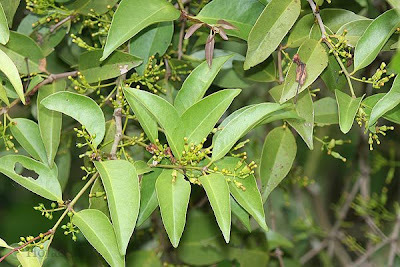 The species is moderately common in shady habitats where its preferred host plant, the Fishtail Palm (Caryota mitis) is found. 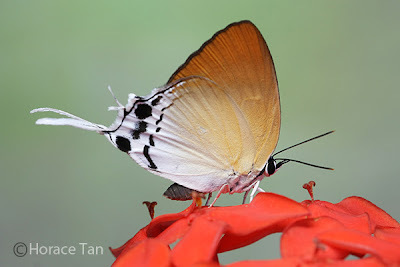 It is found in urban parks as well as the forested areas of the nature reserves in Singapore. 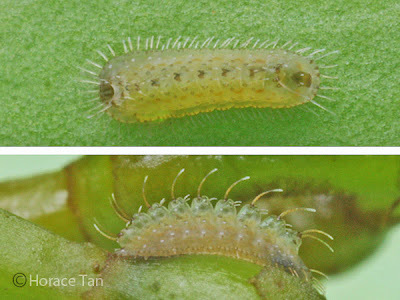 Usually found singly, individuals observed tended to fly around and stop on the top surfaces of leaves in the vicinity of its host plant. 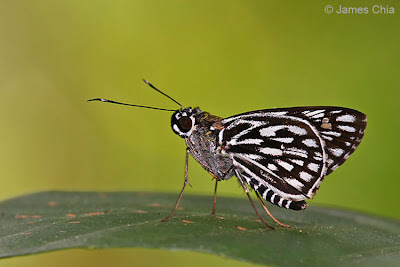 Photographing them can be quite challenging in the low light situations but occasionally, one will encounter a cooperative Chequered Lancer that will stay still for a few photogenic shots. 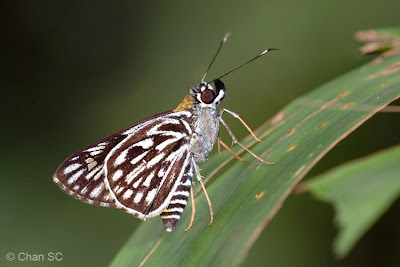 Like many species of the Hesperiidae, the Chequered Lancer is sensitive to the camera's flash at times, and may 'jump' when the flash goes off. 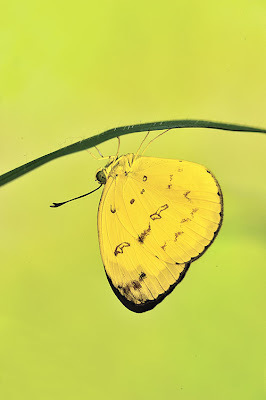 However, once it gets used to the flash, it will stay quite still for subsequent shots. 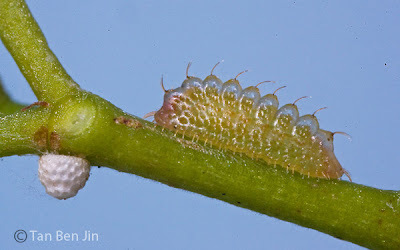 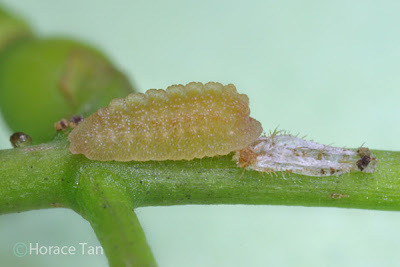 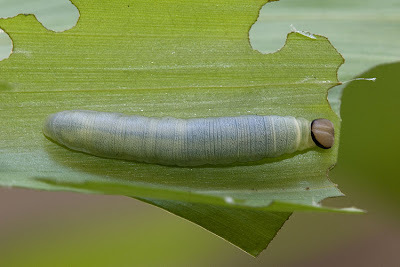 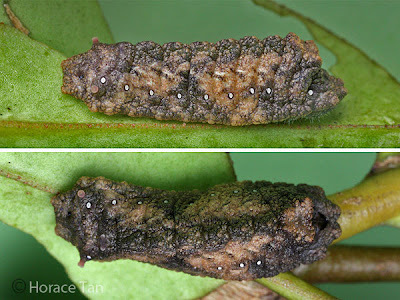 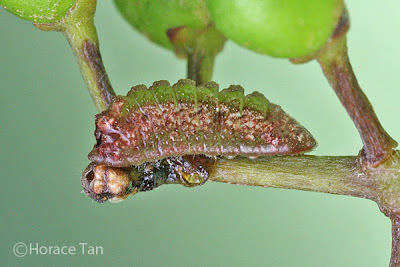 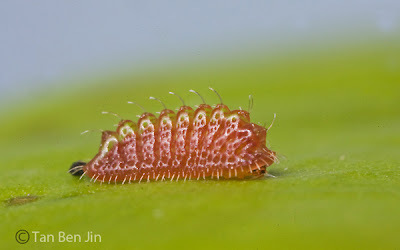 The caterpillar behaves like many of the Hesperiidae, forming leaf shelters within which it stays 'protected' and moves out to feed on other parts of the leaf. 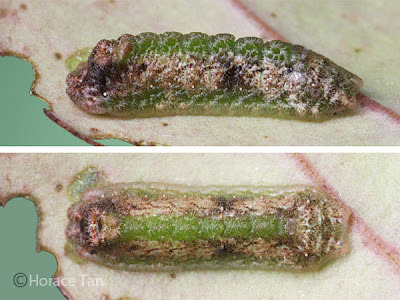 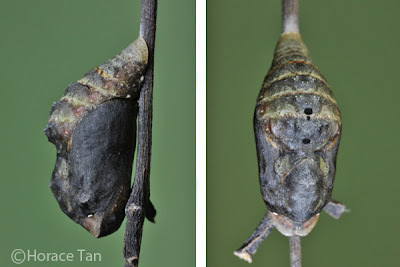 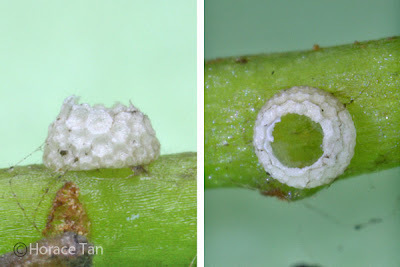 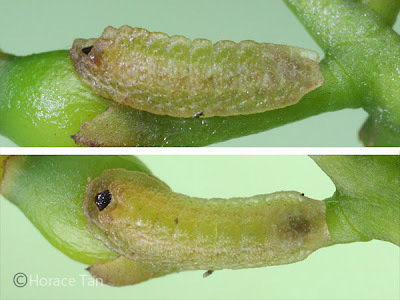 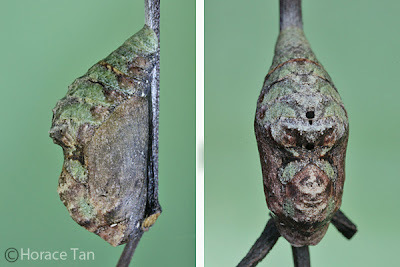 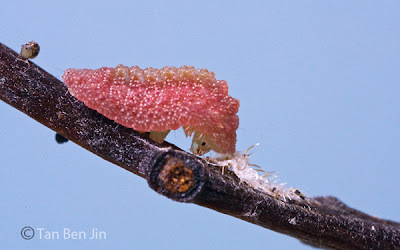 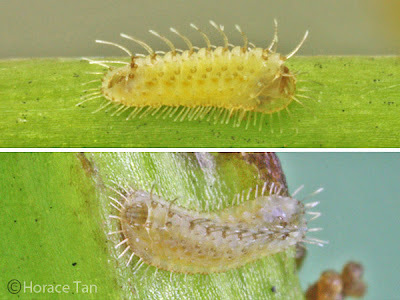 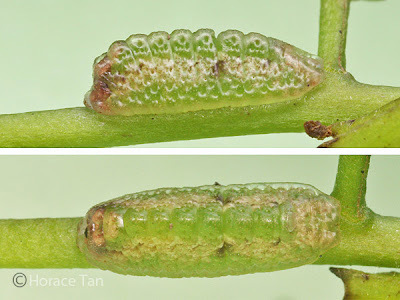 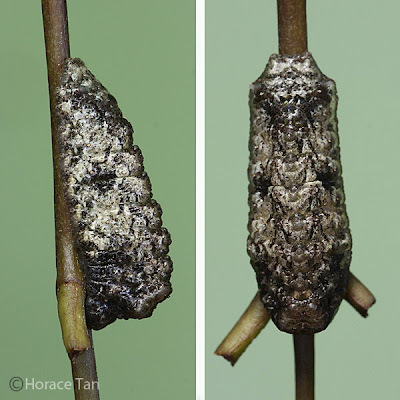 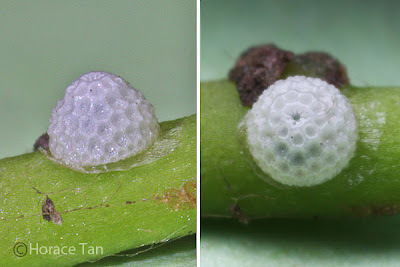 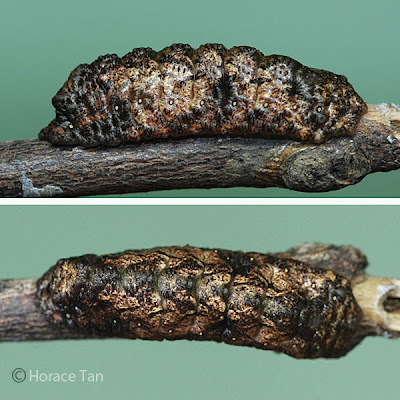 After reaching the final instar, the caterpillar also pupates in its leaf shelter. 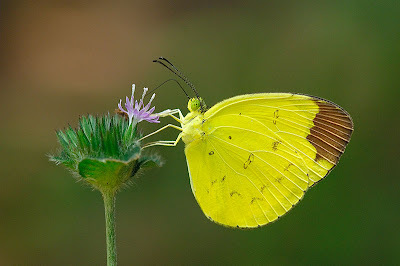 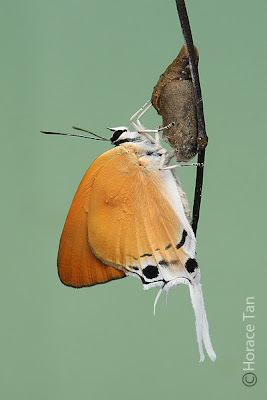 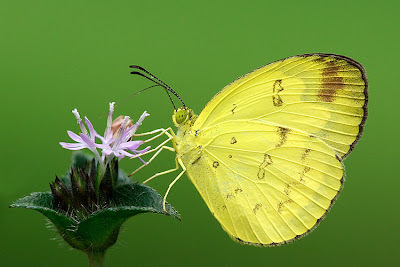 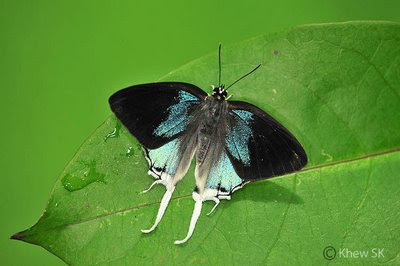 Males and females are generally similar in appearance, though the females tend to be larger in size, darker and with fewer hyaline spots on the wings.